At Crawford, we are dedicated to helping our clients and our community in any way possible. In addition to making our own corporate donations, we encourage others to support the earthquake and tsunami relief effort in Japan. Below is a short list of organizations that are dedicated to this effort. 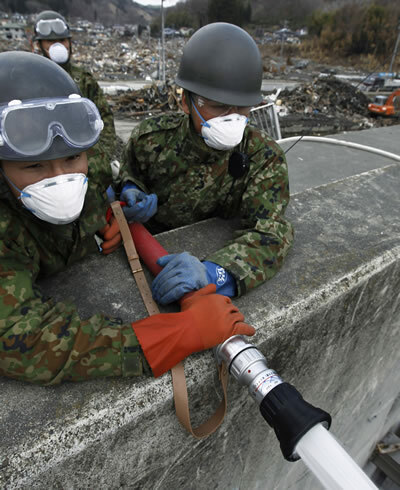 For more on how to help, read How You Can Help the Earthquake and Tsunami Victims in Japan. Donate online or by texting JAPAN or QUAKE to 80888 to make a $10 donation. Donate online or via phone by texting TSUNAMI to 50555 (you'll be prompted to confirm with a follow-up text of YES). On March 11, 2011 Japan was struck by the most powerful earthquake to hit the island nation in recorded history. This earthquake and resulting tsunami can best be described as a complex "Super Cat" event, and one which will have sizeable ramifications for businesses and the insurance industry across the globe. The magnitude 9.0 earthquake which has its epicentre 130 kilometres (80 miles) east of Sendai was the strongest earthquake ever felt in Japan and could be felt in Beijing some 2,500 kilometres away. It was followed by a tsunami which was reported to have reached wave heights in excess of 9.75 metres (32 feet) which swept across a 2,100 kilometre stretch of North Eastern Japanese coastline and inland for several kilometres, before receding and taking homes, buildings cars and large ships back out into the ocean. Crawford responded immediately to this disaster and continues to handle and monitor resulting claims. The March 11 earthquake and tsunami can best be described as a complex "Super Cat" event, and one which will have sizeable ramifications for businesses and the insurance industry across the globe. Clive Nicholls, Senior Vice President of Global Markets for Crawford & Company analyzes the effects of this event on Japan and the global economy in the white paper above. 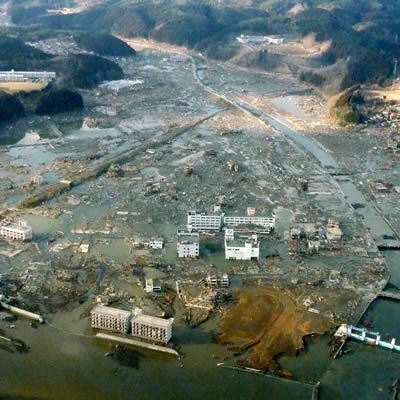 As the devastating events of the earthquake and tsunami unfold in Japan, Crawford is monitoring the situation closely to plan our response to our many global clients particularly given the current threat of radiation exposures from damaged nuclear power plants at Fukushima. The safety of our people remains a priority, and we will continue to monitor the recommendations of several key government agencies concerning the advisability of travel to Japan. We will only mobilise our teams when it is safe to do so. First and foremost, our thoughts and sympathies are very much with the people of Japan who face an uncertain and difficult time; the images on TV and the Press put everything into perspective. For the largest, most complex losses.